My Pinterest notifications are going off like crazy! I pinned the quote above to my quote board 29 weeks ago (according to Pinterest). To date, it has been repinned 567 times….I can tell you from the frequency of my notifications, the majority has been in the last week. So it begs the question. Why? This weekend I had the pleasure of seeing Joel and Victoria Osteen speak. Joel is a pastor of one of the largest churches in America. I follow several pastors, depending on my mood and where I’m at spiritually. However, Joel has not been been a favorite of mine. In fact, I thought he was to “happy” for me. He is always smiling, smiling, smiling. From what I saw on t.v., I just couldn’t relate. When the tickets went on sale, I went ahead and shelled out the cash. Why? One, because I wanted to see what I was missing. Maybe watching the message in person provided a different perspective. And two, because I love to watch the mannerisms of great speakers regardless if I hold the same beliefs. God is greater than your problems. Go to him (pray) for what you need. Don’t focus on yesterday. It is long gone. Look Forward. Forgive yourself. You can’t move ahead if you are always looking behind. Put down your baggage. 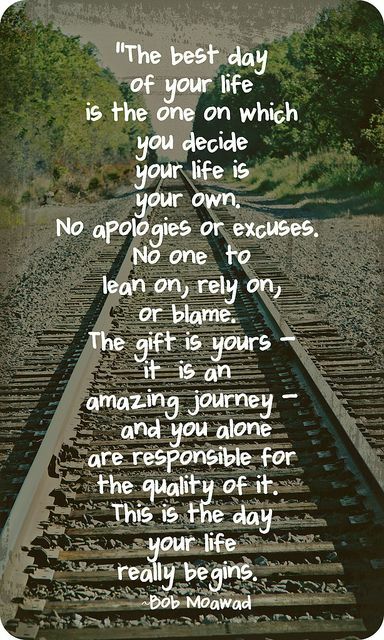 You have all you need to be the person God created you to be and fulfill your destiny. Joel’s critics say he teaches to much on prosperity and is a “dessert” preacher. Meaning, he doesn’t get into the nitty gritty of scripture. Based on my perspective of the event, I can’t disagree. Although everything he talked about DID line up with scripture, for me, it felt like he just skimmed the surface. However, if you look at how often he fills a church of 5,000, filled this coliseum of 13,000, has followers all over the world receiving daily devotions, is a number one best selling author, (and the list goes on) his message must be needed and WANTED. As I was thinking about this and the overall experience, my Pinterest notifications were hitting my mailbox faster than I could delete them. I realized Joel’s message and this pin, went together hand in hand. We’ve all done things that in hindsight, we wished we could do-over. People move, change jobs, or schools, every day looking for a fresh start. The message at the Night of Hope gave those who wanted it, the encouragement to start again right where they are, forgetting what is behind and focusing on what lays ahead. This pin, sums up the same message in a very short quote. 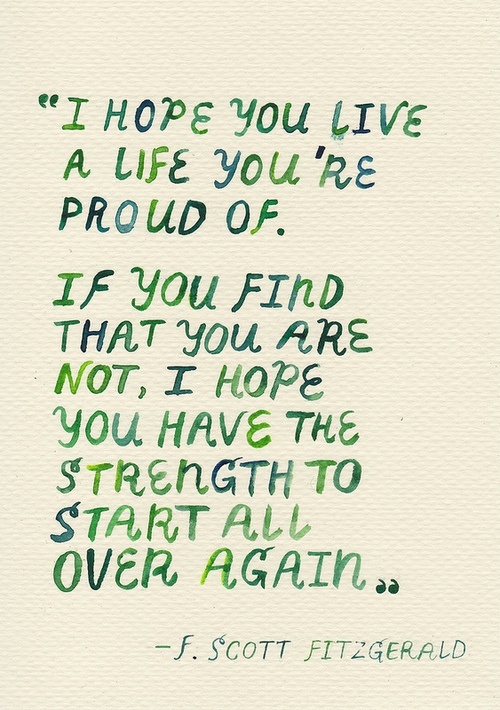 “I hope you live a life you are proud of. If you find that you are not, I hope you have the strength to start all over again.” Clearly there is a thirst for this message. Be kind to yourself. Cut yourself some slack. Understand that you are not, nor could ever be, perfect. Speak nicely to yourself. You are listening. Learn to forgive yourself. Learn to love you for who you are. Be okay with your flaws. Be positive. There are enough negative things in the world. Don’t add to it. Make small changes today to move you toward your goals. Celebrate your progress. If you slip up today, start again tomorrow. You are strong enough to be the person you want to be. We only have one life to live. Make it count. ← Some rules should be broken….